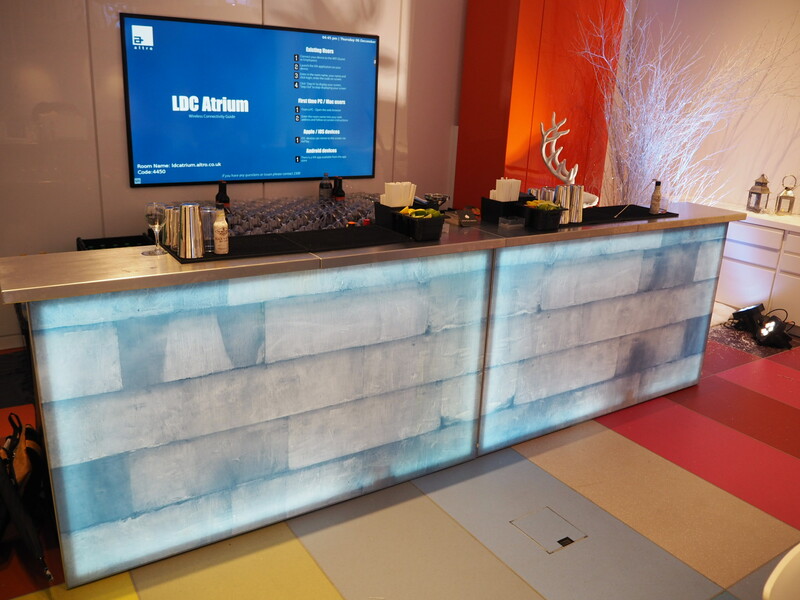 Our corporate client were in for quite the Christmas party at their showrooms in Clerkenwell, London; arranged especially for around 120 of their customers it was a Winter Wonderland theme, featuring our ice effect mobile bar and a nice array of Christmas decorations. 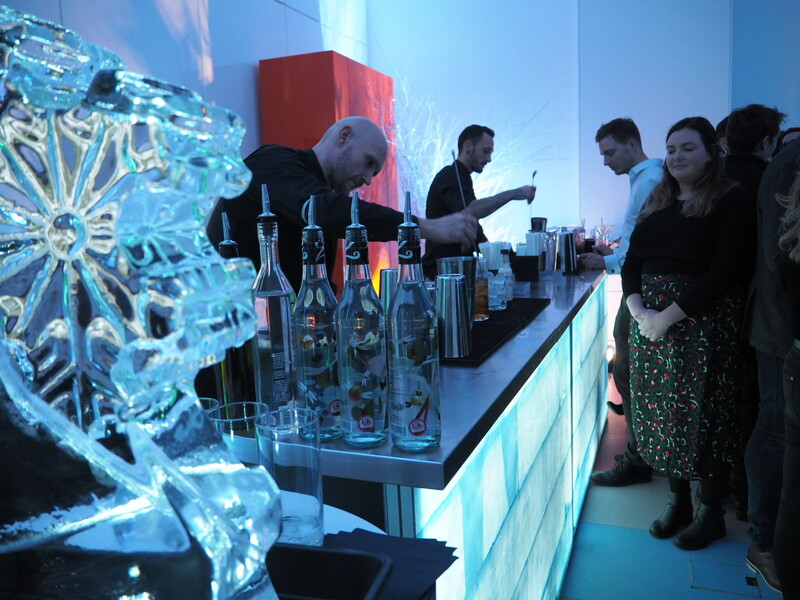 Our ice effect mobile bar was manned by two of our mixologists who alongside serving a range of bottled beers and wine as per the client’s request – also came up with a couple of tasty Christmas Cocktails. The guests had a tough choice of either a Gingerbread Martini or a Merry Fizzmas, two Christmas Cocktails that touch very different taste buds! This Christmas ice mobile bar like all of our mobile bars for hire can be customised to your liking. You can have a go on our online tool, the Ace Bar Configurator if you like – or you can give us a call and talk to us about all the different options available, as the Ace Bar Configurator only has our most popular options available. This means customising everything from the type of fascia on the front bar (tactile or HD imagery), the length and shape of the bar, any added backdrops, a stainless steel or wooden bar top and more. 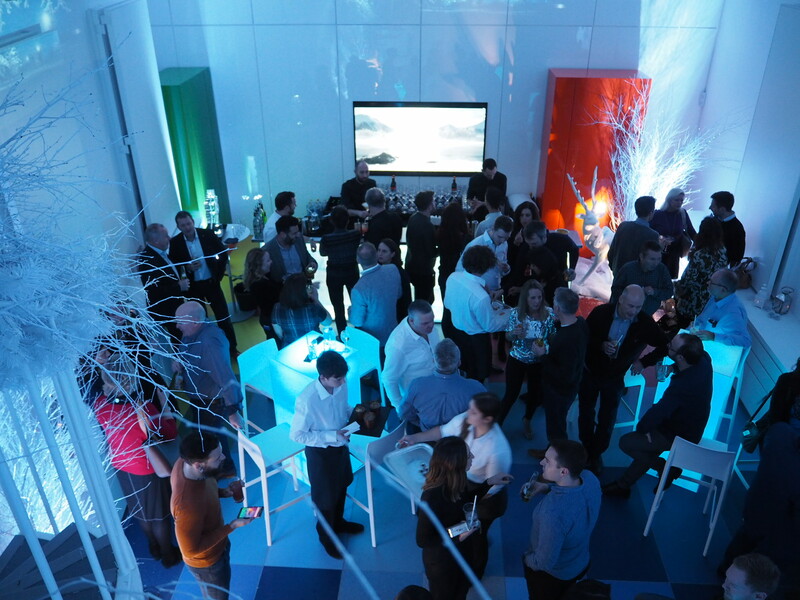 If you are interested in our ice effect mobile bar, ice effect bar, a Christmas Party of your own or anything else – then please do not hesitate to drop us a line.